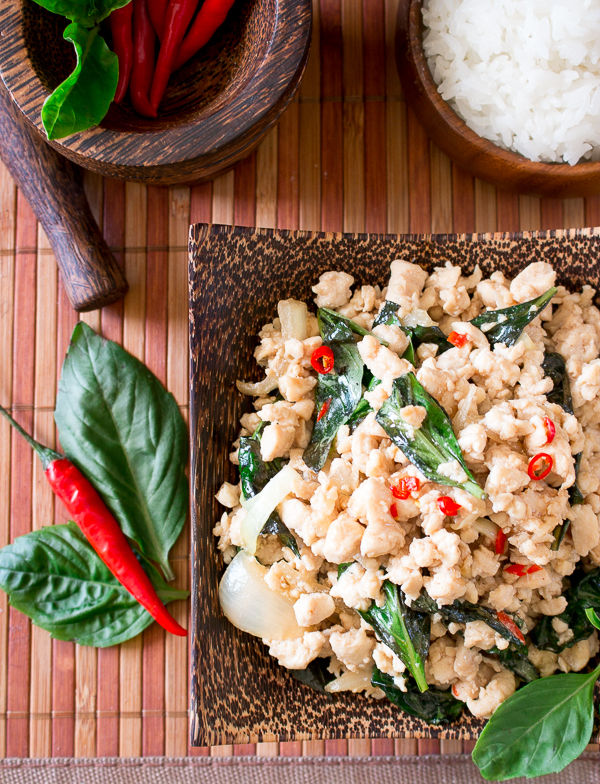 Spicy Holy Basil Chicken (Pad Krapow Gai) is a delicious dish of minced chicken with spicy Thai chili peppers and Thai Holy Basil served with Jasmine rice. 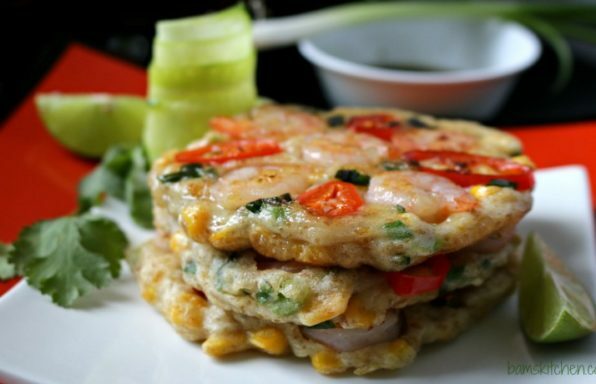 You are just going to love this Thai Street food favorite made with just a handful of ingredients and whips together in under 15 minutes. Have you ever been to Thailand? 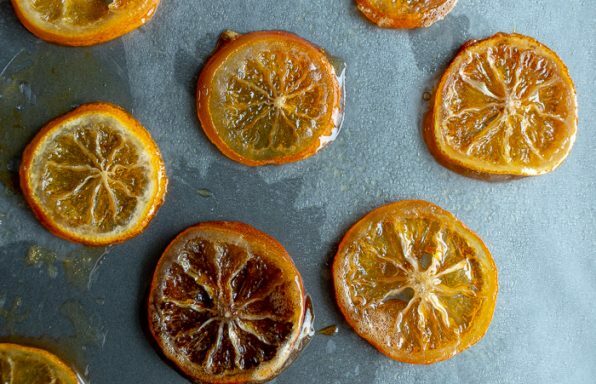 If you’re a foodie, then you best get this destination on your bucket list. Some of the best street food you will ever eat! 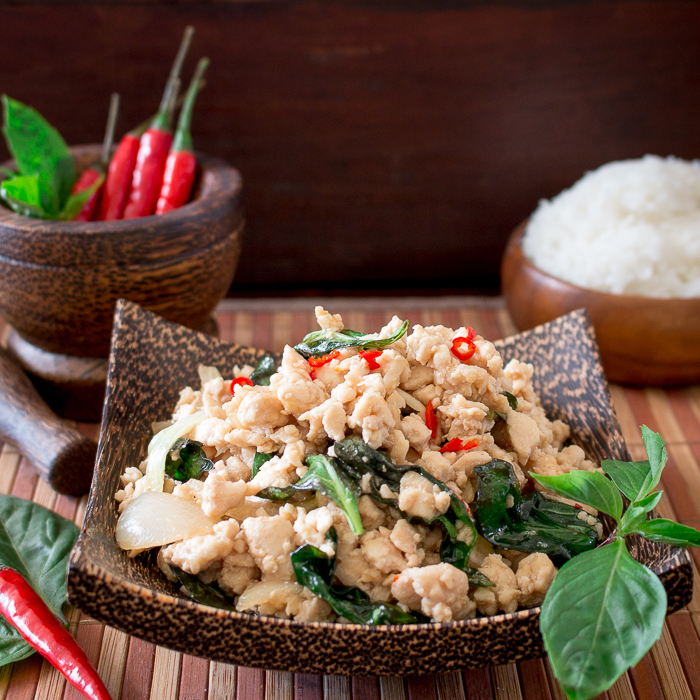 Spicy Holy Basil Chicken (Pad Krapow Gai) is a very commonly made street food item. It is made Fast, EXTRA Spicy and delicious! The best part of making your own Spicy Holy Basil Chicken (Pad Krapow Gai) is you can make just the way you like it: EXTRA THAI KILLER HOT Spicy (could peel paint off cars spicy), Standard run of the mill killer hot and spicy (mouth is on fire, bead of sweat on your brow, but a good burn), Medium or extra mild. We would like to delineate there is a BIG difference between Western Spicy and Thai Spicy. We kid you not, Thai’s put chili on everything. Once you go spicy and love it they might lose a few taste buds along the way, so they must increase the amount of chilis. We are not talking mild jalapeno peppers we are talking “fire breathing” Thai bird chili. They are small but they are mighty! 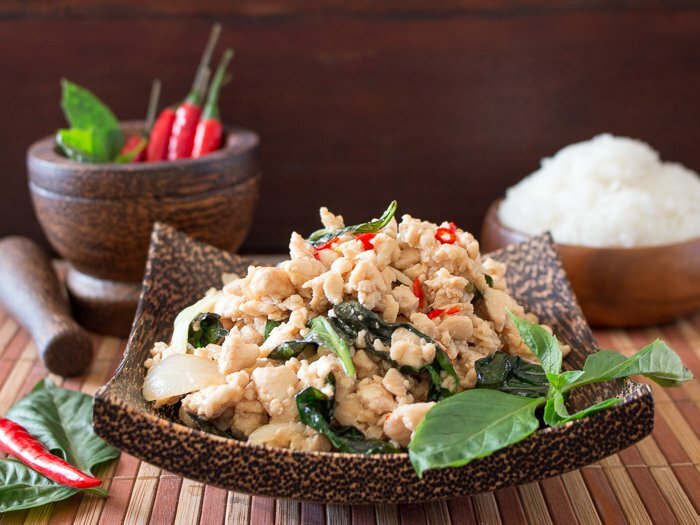 Spicy Holy Basil Chicken (Pad Krapow Gai) is also known as Thai Basil Chicken and Gai Pad Krapow or just Pad Krapow. 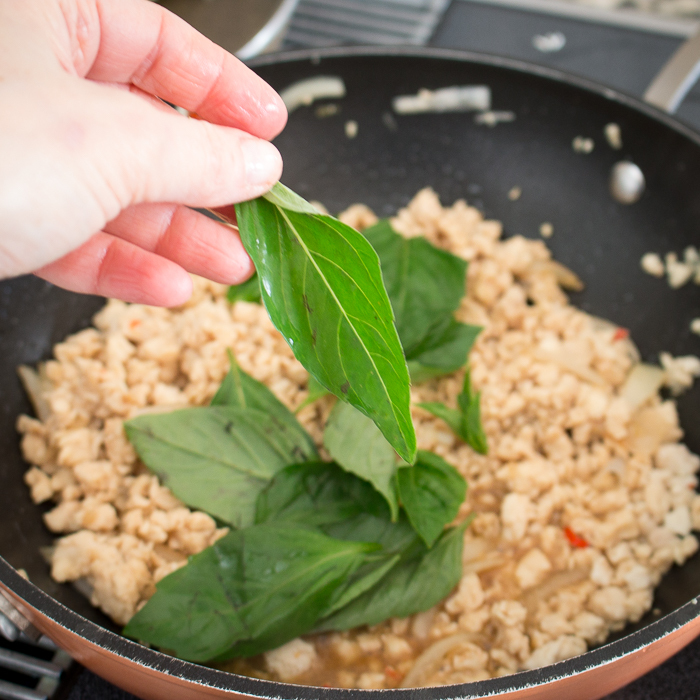 Pad Krapow means stir fried holy basil. Sometimes you may see Pad Krapow made with beef or pork or even seafood. Thai Holy Basil (also known as Hot Sacred Basil) is a very special kind of basil that is often difficult to find outside of Asia. 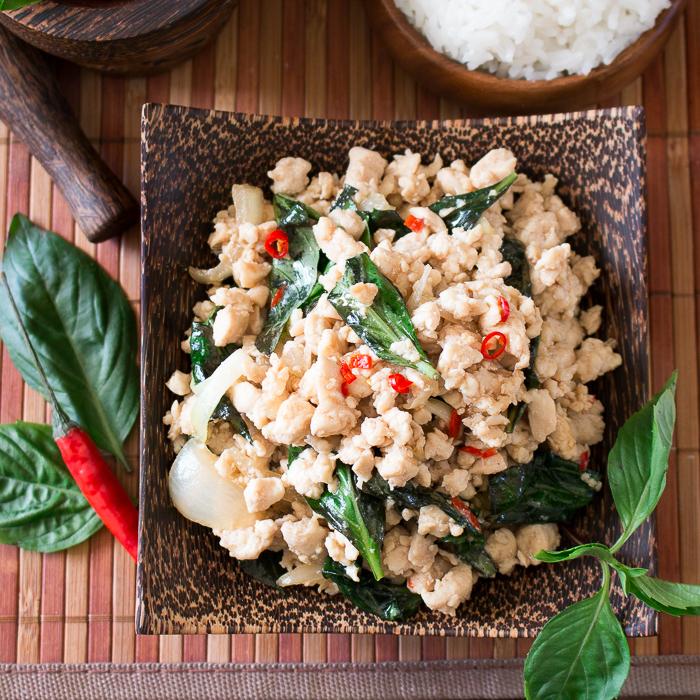 It is a little spicy, flavorful and makes our Spicy Holy Basil Chicken (Pad Krapow Gai) delicious. The leaves on our Holy basil are jagged. Holy Basil is spicy and not sweet. There are two varieties a light green and a red which is purple around the stems. 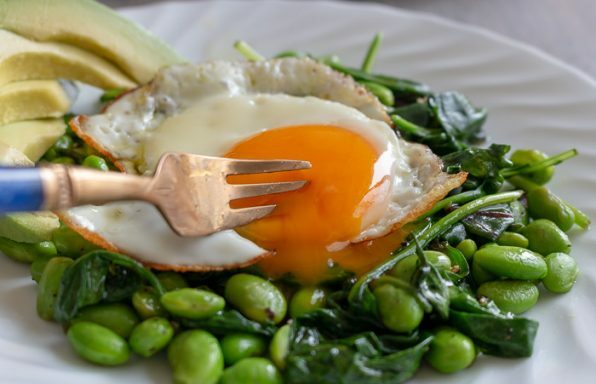 However, at the end of the day, you should be able to cook a meal with the ingredients you can find at the markets near you. 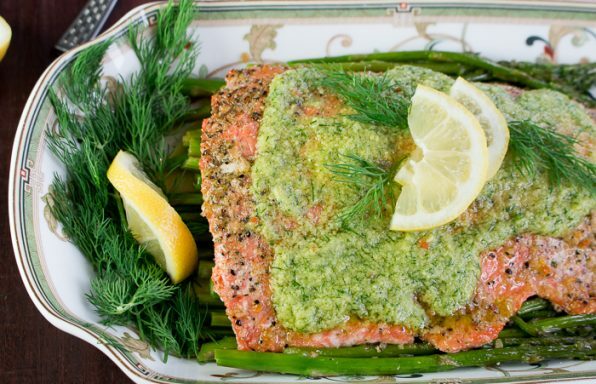 Feel free to substitute with Mediterranean basil or even Thai Sweet Basil. 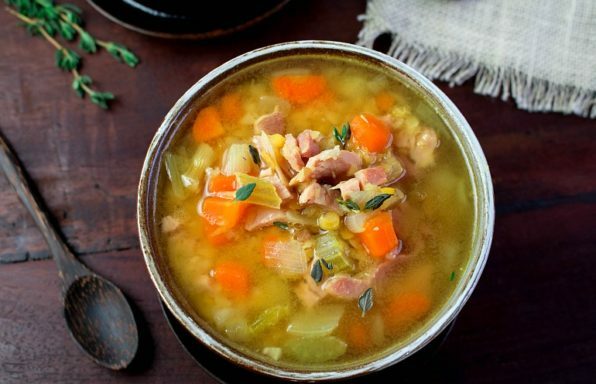 The secret is to get the flavors balanced to achieve the spicy peppery balance and savory. We like to finely chop our chicken with two Chinese cleavers. Yes, you got it some major chopping action going on with both hands. 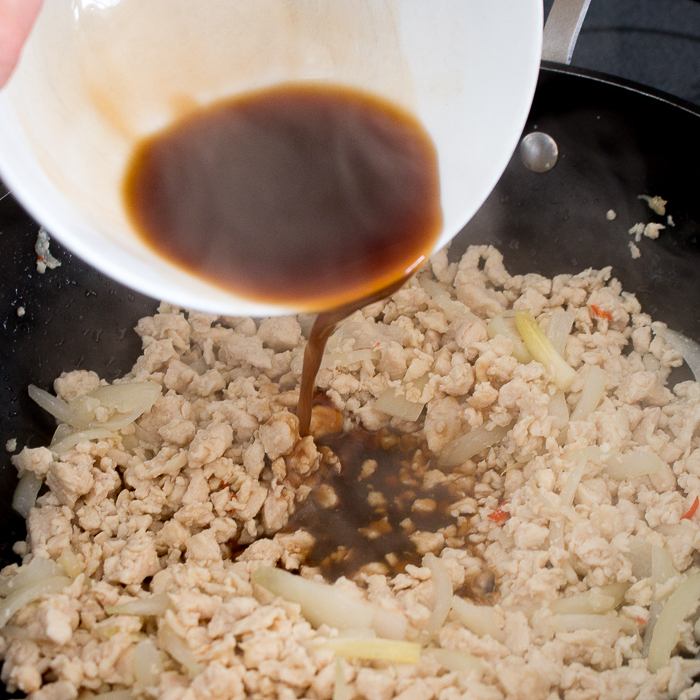 You may also use Minced/ground chicken if you like. The rationale behind this is to be able to get all the flavors throughout the chicken. If you cut your chicken into slices or bigger pieces, the flavor will not be throughout evenly. 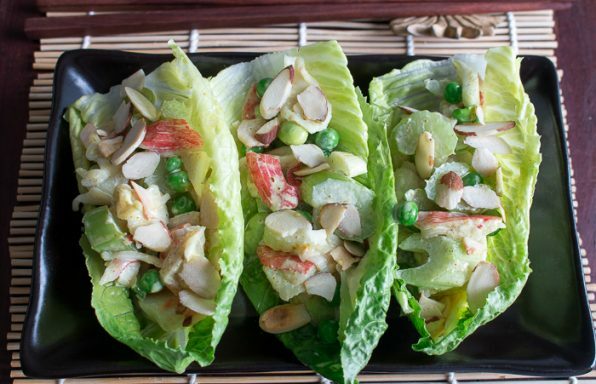 If you are looking for a few Thai dishes to accompany your Spicy Holy Basil Chicken (Pad Krapow Gai), be sure to try our Springtime Thai Beef Buddha Bowls , Authentic Thai Fish Salad , Blue Elephant Chili cocktail to get the evening started. . Be sure to check out our Thai Recipe Collection for more inspiration. Thai Holy Basil – 1.5 cups (stems removed and leaves whole)- if cannot find Holy basil substitute with a basil you can find at your market and adjust the spices accordingly. 1In a wok/ frying pan, add your oil, garlic and chili peppers and stir fry until aromatic. 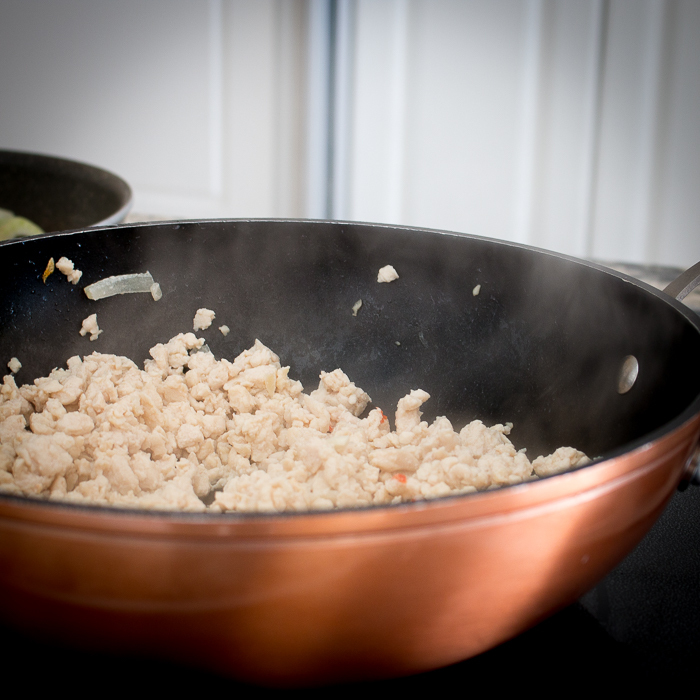 Add your minced chicken and fry until no longer pink and golden. 2Mix your oyster sauce, fish sauce, water and sugar or sugar alternative in a bowl and add to your chicken mixture in the wok, add your 1 chopped Thai bird chili and chopped onion and stir fry for 1 minute. 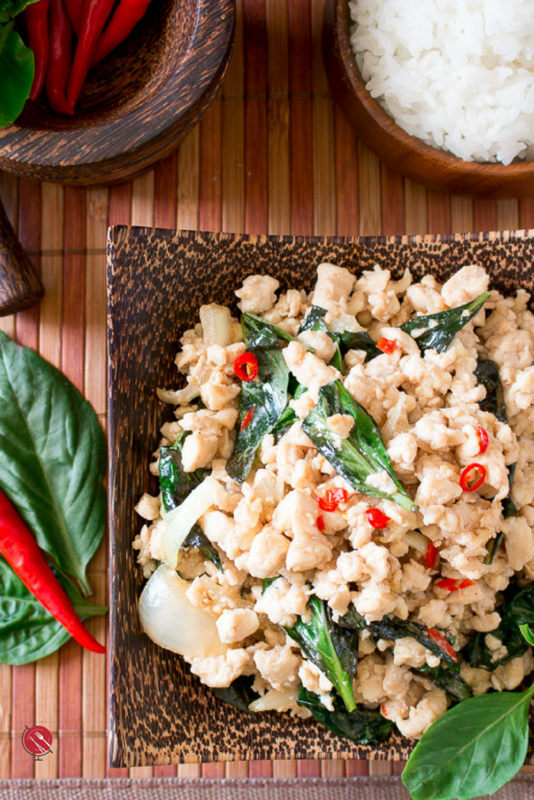 4Serve Spicy Holy Basil Chicken (Pad Krapow Gai) with cooked Jasmine Rice. Garnish with extra basil leaves and chili, if desired.